Welcome to The BeastBox Podcast! 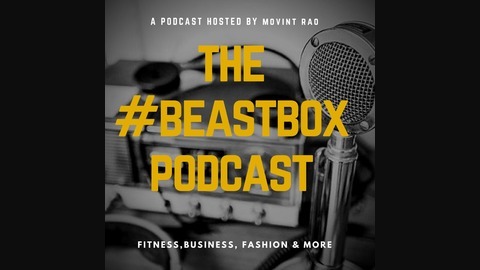 My name is Movint Rao and I created the BigtoBeast brand on 2016 with the motive to help others live Healthier and most importantly love being yourself!This podcast isn't going to be like what 90% of podcast out there! 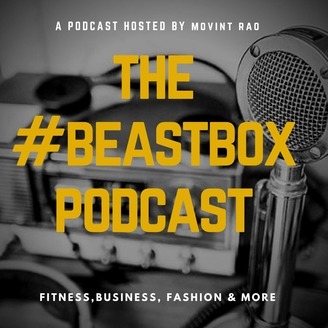 As I will be mixing it up with informative, interviews(with one of you guys), Interviews with prominent celebrities not only from the fitness industry but business, personal development, fashion and many more!! Through this podcast I hope that it will motivate, entertain and also provide you with some promising knowledge for you guys to enjoy! Buckle up and enjoy the ride! #bigtobeast. Thank you for tuning in to the second episode of The BeastBox Podcast! In today's episode I rant on patience and the importance of patience not only in fitness but life. Hope you guys enjoyed the episode! If liked what you heard, please consider leaving a comment, rating or even subscribing! I will read through all comments and answer them! I would also love to connect with you guys on social media!! The BeastBox Podcast Ep1 - Introduction to Podcast!